During the week of 6-11 May, 2018 the Budapest Neutron Centre hosted the 12th Central European neutron Training school. The objective of the CETS schools has been to provide an insight into the different neutron techniques: neutron scattering, imaging and elemental analysis. 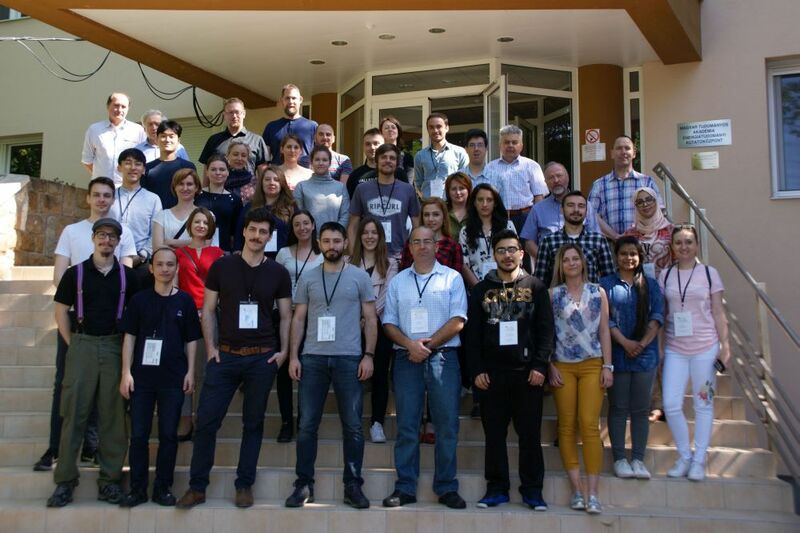 27 participants - PhDs and post-docs, master students and young researchers from 16 different European and non-European countries - attended the theoretical, lectures and the hands-on practices at various BNC instruments. The 10 hours theoretical lectures were given by experts from BNC and other European neutron centres, such as ILL Grenoble, JINR Dubna, ESS Lund and University of Vienna. 15 hours of practices per group of five students were offered to the participants. The hands-on practices were conducted by the instrument scientists on the large angle and small angle diffraction instruments, reflectometer, prompt gamma and neutron activation analysis and the neutron imaging station. The participants had the opportunity to present their work as a poster in the form of a short presentation. On the last day the students received their well-earned school certificates. Special awards were given to the most active participants. CETS2018 was supported by the SINE2020, the IPERION CH and the BRIGHTNESS EU projects and by Mirrotron Ltd, Budapest.